In November (I think), Loot Crate offered subscribers a discount on their first month of LVLUP and of course I had to do it, just to try it out. All the stuff I had seen so far had been awesome, so I signed up to LVLUP Accessories. I was a little too late for the November goodies but was in time for December, which ended up awesome because the theme was Galaxy! Wanna see the goodies? Course ya do! 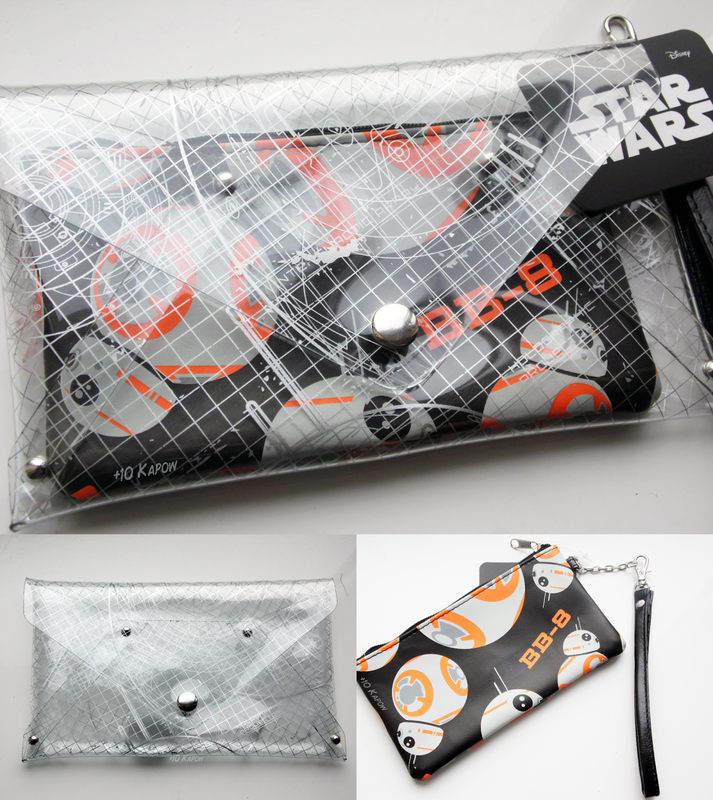 This clutch consists of a transparent, plastic, envelope pouch with a push button and a smaller wristlet. You can click on the photo to embiggen so that you can see the patterns better. These are awesome and will be used well. This is freakin' adorkable. It is really well made and would look great on pretty much any bag. 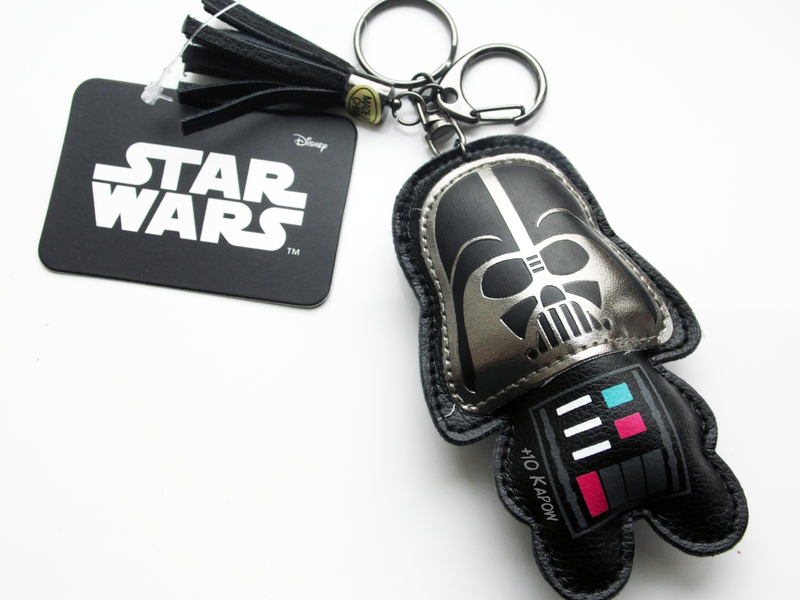 Obviously I'm going to put it on my Star Wars messenger bag. This is definitely my favourite of the two items. 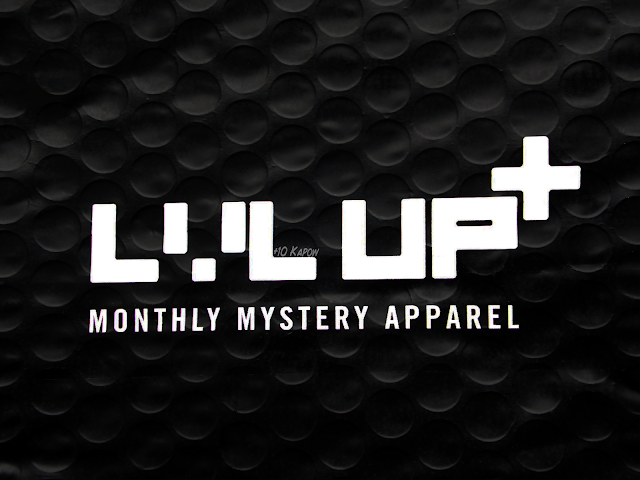 Now, this was supposed to be the only month I got of LVLUP because of monies, but me being me, I completely forgot to cancel in time and so I will be getting this month's as well, which I am secretly glad about because the theme Invasion is likely going to be made up of so much awesome and I cannot wait to see what the goodies will be. So what did you think of December Loot Crate LVLUP?